The picture shows Theo on his first business school day in August. We warmly welcome our new team and family member to Original-Antique-Furniture! 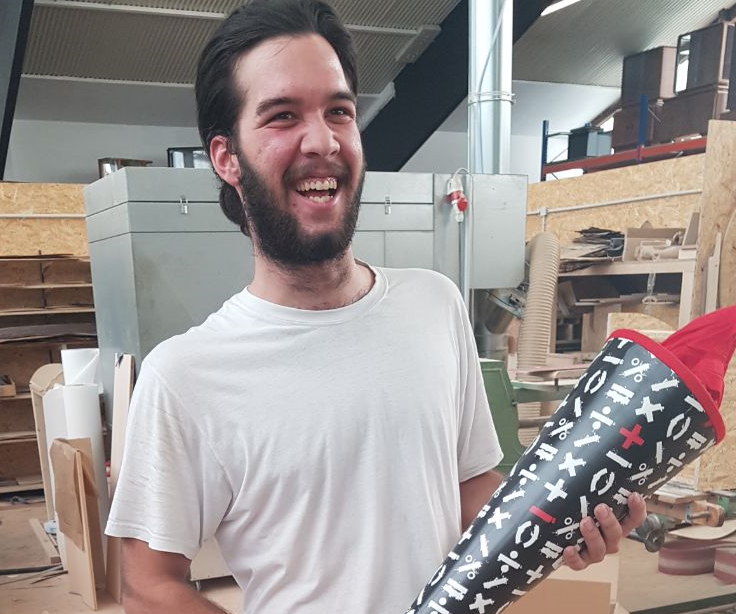 Theodoros Athanasiou, called Theo, is 22 years old and works as a trainee for us since Febraury 2017. He already was interested in being a joiner in his home country of Greece and showed great dedication in his qualifying time with our company. He works with enthusiasm, ambition and attention to detail and integrated very well into our small group.